According to Japanese media, SoftBank has included 10,000 Chinese companies in its supplier list to expand the e-commerce of the office supplies sector of its subsidiary. 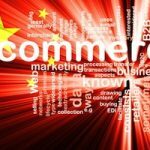 These companies will be selected from the 3.6 million registered companies on the e-commerce website of Alibaba Group, a capital partner of SoftBank. If the cooperation can be realized, the first Sino-Japanese e-commerce purchase network will be established. For the convenience of the customers of SoftBank, the company offers inquiry sheet translation services, which will help the customers to book products from Chinese companies. In addition, Dee Corp., the operator of SoftBank's purchase platform, will establish a partnership with Alibaba's Japanese website operator. At present, about 10,000 companies have registered with Dee as suppliers and most of these companies are domestic Japanese companies. The number of purchasers on the website is about 400 and the monthly transaction volume is about JPY10 billion.